PHOTO: Failed sediment controls on the North Fork of the South Branch of the Potomac River. Photo by WVDEP. 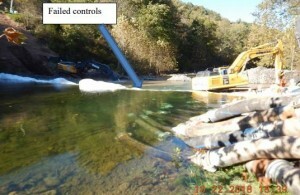 Another pipeline has been cited for water quality violations. The WB XPress Pipeline, a 26-mile project in Grant, Randolph, Pendleton and Hardy Counties was recently fined $13,340 by WVDEP for water quality violations to the North Fork of the South Branch of the Potomac River. The proposed agreement for the fine is now open for public comment. Comments are due April 13, send a letter here. WVDEP has issued a Consent Order to Columbia Gas for violations during construction of the WB Xpress Pipeline. A failed dam at a stream crossing impacted 19 miles of the North Fork of South Branch of Potomac, a pristine trout stream. They were fined approx. $13,000. WV Rivers is submitting the attached comments requesting an increase in the fine, and we are inviting organizational sign-ons. 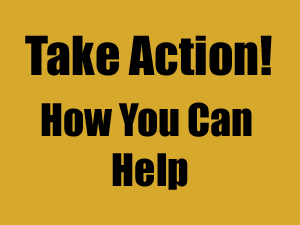 If your organization wishes to sign-on to our comments, please contact me by 12pm, Friday, April 12, with your organization and authorized signer’s name. The deadline for comments is April 13.